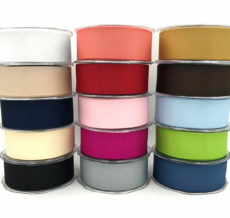 This 2.5 inch by 20 yard ribbon is a grosgrain.The SX Series is May Arts’ luxe grosgrain line. 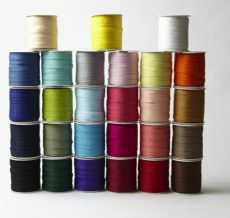 Each ribbon is woven with 225 denier threads. A 225 denier means the final woven product is heaver in weight, has smoother ridges with no lumps in the weave, and is very durable. 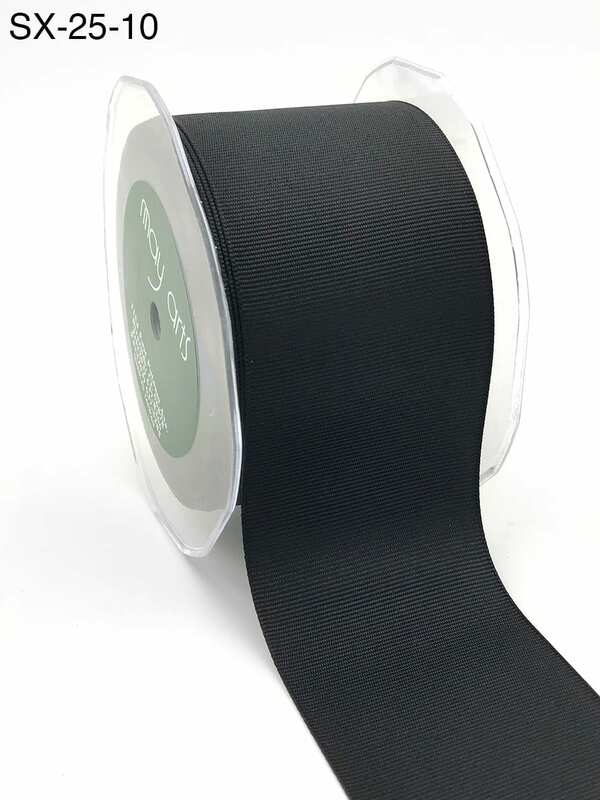 Higher denier ribbons also have more matte appearances. It would be perfect for gift wrap, card making, sewing, scrapbooking, and home decor. This ribbon would also be ideal for floral arrangements, weddings, birthdays, Valentine, summer, Christmas and winter projects. 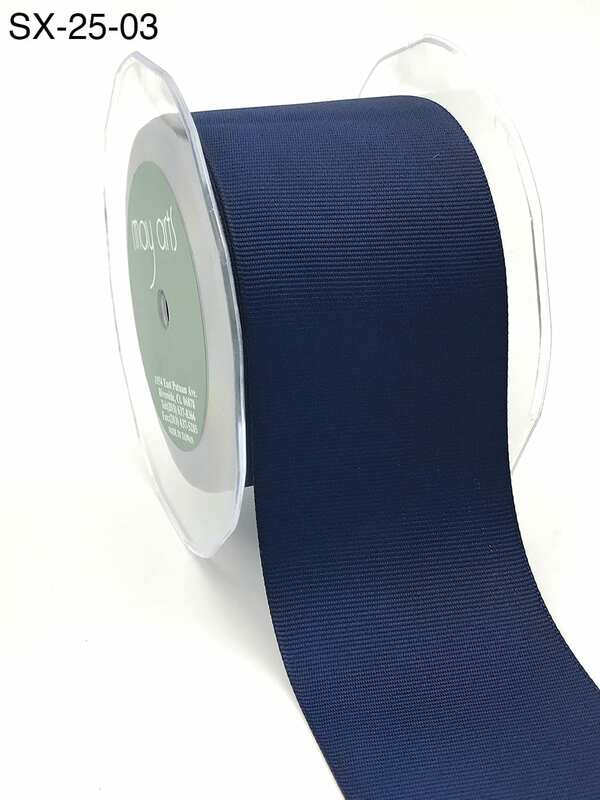 May Arts’ superior quality grosgrain is woven rather than from a cut fabric, making it more durable for a longer lasting ribbon. The woven nature also means it has a more vibrant color with a slight sheen to it.